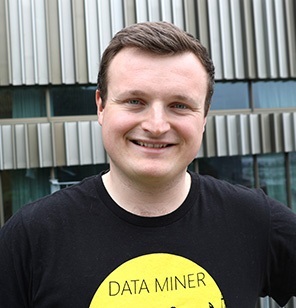 On Friday June 15, Aleksander Fabijan, doctoral student at the Department of Data Science and Media Technology, will defend his PhD thesis Data-Driven Software Development at Large Scale. His research explores how software companies can evolve from data collectors with ad-hoc benefits, to trustworthy data-driven decision makers at scale. Friday June 15 at 13.00-15.30 in Room B0E07, Niagara building, Malmö University. Opponent: Associate Professor Michael Felderer, University of Innsbruck. An abstract of Aleksander Fabijan’s thesis is available on the calendar page. The thesis defense will be preceded by a research seminar and panel discussion entitled Continuous Data, Innovation and Experimentation. Read more about Aleksander Fabijan’s research in a press release on the University website.